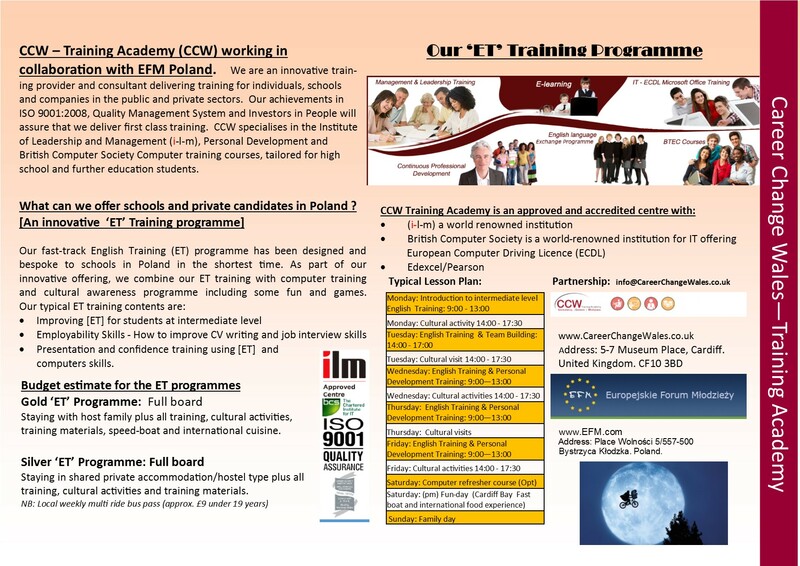 We are delighted to announce that we are now partnering with Europeyskie Forum Miodziezy (EFM) in Poland to launch our innovative “ET” programme for 15-18 years old school students. Our “ET” programme has been designed to prepare secondary school students to be more confident, culminating and developing a more professional approach in school. These skills will help to improve their English Language level and employability skills from an early stage. Change it on own-js of ftp server.